Years ago (2007 *cough*) I received an origami day calendar. I never used it. I sorted through it and picked out the things I was interested in making. 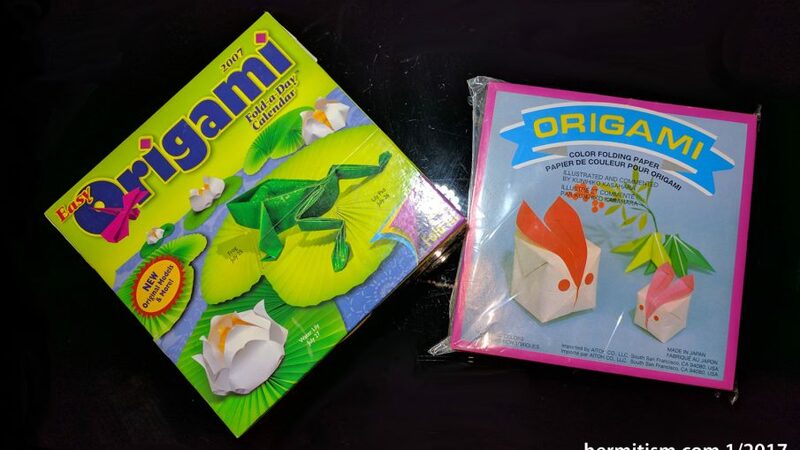 I even bought another package of origami paper so I had extra paper to play with. Those papers have moved from Utah to Indiana and all the way back and through three more moves in Utah without ever being used. I found it when I was digging through a box of art paper looking for something else. I hadn’t forgotten that I had it necessarily, but holding it in my hands again and knowing that I am trying to declutter (in the sense that I don’t want to keep things I will never use) I realized I needed to do something with it or let it go. So one decade later, this is the calendar’s last chance to be used by me. In December, I joined a Habitica* advent calendar drawing challenge. I was supposed to draw a picture a day and post them until the 24th. I…didn’t manage the every day part, but in the end I posted more drawings to (what I guess should be?) this blog’s Instagram account than were required because I started drawing the 12 Days of Christmas with cats when I had less than twelve days left. Warning: I had no plan for what I was going to draw most days and some drawings may not be considered kid-safe. * Habitica is a game-based to-do list and habit enforcer that I have been using since late August 2016. 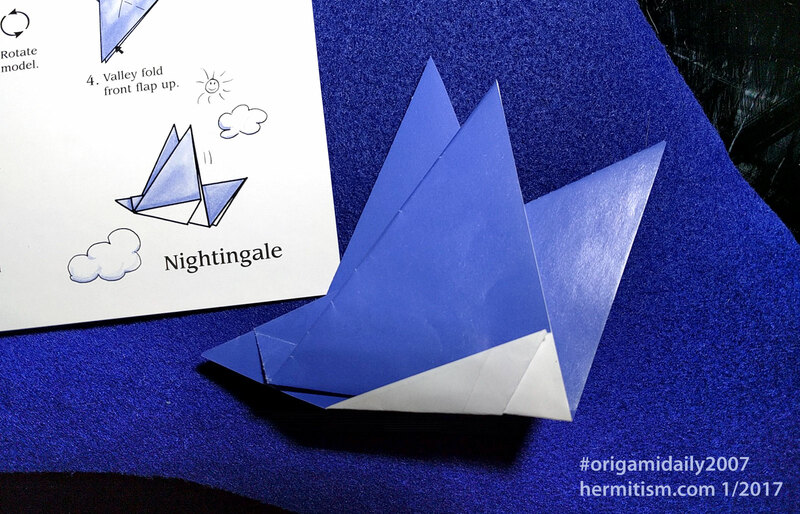 I am now making my own origami calendar challenge. Each weekday and one weekend day (the calendar combined Saturday and Sunday, which always felt like a cheat to me), I will try very hard to post a picture of whatever I did and a picture of the instructions in case anyone wishes to follow along. I would not post the instructions if I were doing a 2017 calendar, but as this is a decade old, I do not think anyone will care. Current plan is to also write a progress report each month with a photo of all things I made. Life may get busy. I may not make the full year. But I am going to try. Hey, I didn’t know you were from Utah- I’m in Utah too! I wasn’t born here but it has become my home. I went to BYU up in Provo but I live down in Southern Utah now. That’s awesome! I’ve lived in Utah most of my life, but I went away to another state for college. How is the weather down there? I am just glad I can work from home tomorrow if it turns out to be as bad as the weather reports say.